In this episode, I interview Dan Knowlton, a creative marketer, speaker, and trainer. He co-founded KPS Digital Marketing, an agency that specializes in social and video marketing. Dan explains why he stopped using Twitter automation tools and how other tools help marketers engage with fans more effectively. You’ll also discover tips for starting conversations and building relationships on Twitter. 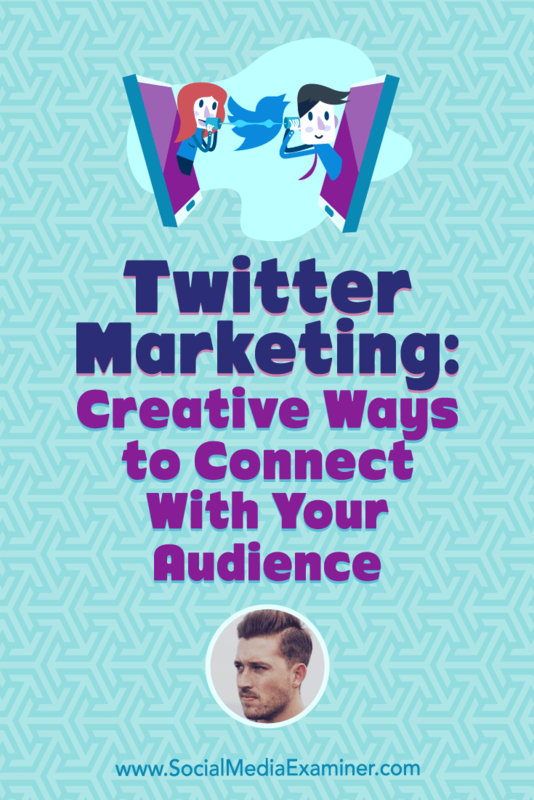 Twitter Marketing: Creative Ways to Connect With Your Audience featuring insights from Dan Knowlton on the Social Media Marketing Podcast. About 5 years ago, Dan became interested in marketing while studying business management and marketing at the University of Brighton in the UK. However, he didn’t take any of the digital or social media marketing classes. His coursework and early work experience focused on traditional marketing. After graduation, Dan worked for a big company in London as part of a program for new graduates. The company trained him to run a branch as if it were his own business so he learned about sales, customer service, managing a team, team building, communication, and so on. However, the job was like running a business without the perks of running your own business, so he quit. Dan moved back in with his parents, and then traveled around Thailand and pursued his interest in online marketing. He began by learning about the topic from sources like Social Media Examiner, Content Marketing Institute, and Digital Marketer. After following a tutorial by Matthew Barby about growing a social media following, Dan was excited to see his Twitter following grow. Dan continued to get good results for himself and his dad’s company, so he set up a digital marketing agency with his dad and his brother. They wanted to help bigger companies with their online marketing, too. They now work with global brands running creative campaigns with video content and social media marketing, and the agency is growing. Listen to the show to hear Dan share more about his early success growing a social media following. To understand the benefits of Twitter marketing, marketers should think about the ways in which Twitter is the go-to platform and how their marketing can fulfill the needs of people who use it. For starters, Twitter is a place to discuss live events. With the event hashtag, you don’t even need to attend the event to join the conversation. People also go to Twitter to learn about breaking news. Twitter is unique because you can follow or have conversations with high-profile people and celebrities. Compared to LinkedIn or Facebook, Twitter makes high-profile people seem accessible. People who would never answer your email might respond to you on Twitter because they’re in a different mindset when they use Twitter. 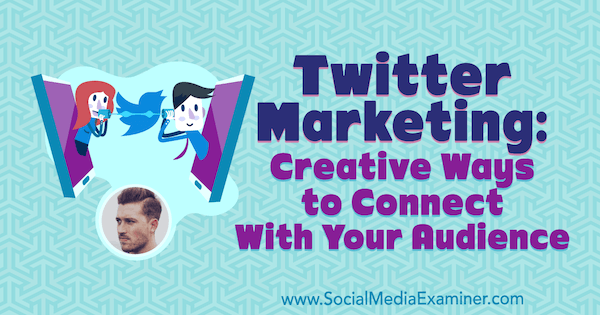 Marketers can use the conversational nature of Twitter for customer service and networking. 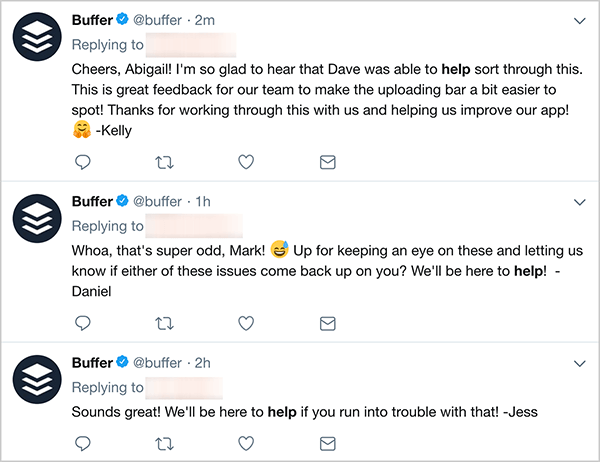 To illustrate, Buffer and Mailchimp use Twitter to provide empathetic customer service and instant solutions to people’s problems. Tweets can provide much better service than a voicemail menu or a website form, and simultaneously show how supportive your business is. For online networking, Twitter chats are the perfect place to meet and engage with people online. Twitter is also a great place to continue conversations and build relationships that begin at online events. When you look at all of the ways Twitter can help marketers, you can see it’s the perfect platform for middle-of-funnel activity—where you nurture the relationships you’ve built across other marketing touchpoints. Listen to the show to hear Dan share more about the conversational nature of Twitter. 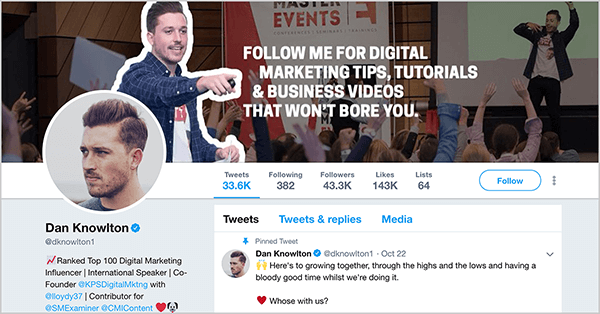 To grow an audience, Dan has used lots of Twitter tactics, and the common tactics that rely on automation are definitely not working anymore. Dan used to automate tweets from his personal brand and his agency account using an RSS feed automation tool. The tweets went out every 10 minutes, posting a value-adding article from a great publication, and the tool formulated the tweet based on how he configured it. With automation, you can set up and cycle through 100 tweets. This type of automation used to make sense. Marketers saved time by letting the automation tool tweet for them and easily repurpose content. Followers likely weren’t seeing all of your tweets because the Twitter feed was so fast-paced. This approach also helped marketers reach their goals: Dan built an audience and his analytics looked great. He received lots of profile visits and engagement. Because automation was effective, more marketers automated tweets, and those who did also increased the number of automated tweets. The thinking was that more automation would bring in more followers, who in turn would increase the number of clicks on links and leads. However, this approach also drowned the Twitter feed in tweets to articles and ruined the one-on-one interaction. When Twitter introduced an algorithm that attempts to show users content that interests them rather than a chronological stream of tweets, some of the assumptions behind automation were no longer true. Also, in February 2018, Twitter changed the automation rules. The current rules prohibit common automation tactics marketers were using. First, you can’t post identical or substantially similar tweets to multiple accounts. The new rules also prohibit posting substantially similar tweets to the same account. Tools like MeetEdgar and Buffer, which enabled this automation, had to change course. When Twitter implemented the new automation rules, Dan and his agency stopped all Twitter automation. In fact, Dan welcomed the changes because the flood of tweets made Twitter feel unusable. Now, Dan believes focusing too much on quantity (even if the tweets aren’t automated) is a mistake because any tweet that looks like a marketing tweet doesn’t work. Instead of tweeting an article with the title of the article or simply retweeting someone else, Dan suggests focusing on sharing tweets that actually mean something and reflect your voice. Although Dan understands that marketers who manage multiple accounts need to use some automation to schedule tweets, he still encourages them to share tweets that reflect their thoughts. Listen to the show to hear my thoughts about interacting with people authentically and developing a loyal fan base. 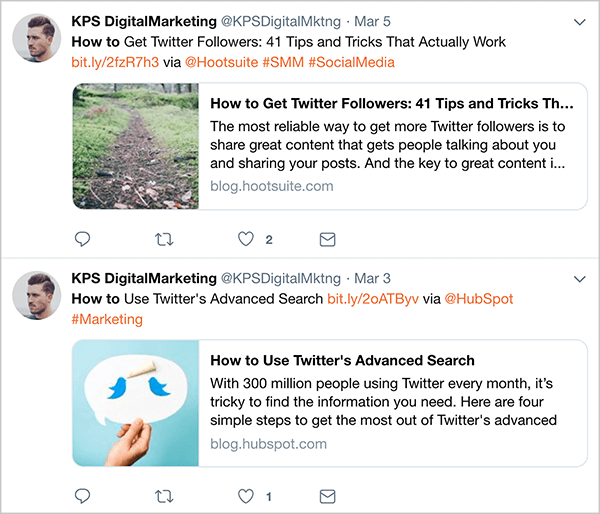 Dan shares several ideas and examples that show how moving away from automation and focusing on quality tweets can help marketers. He elaborates on the advantages we discussed earlier, and shares tips and tools for finding the people and conversations to follow, interacting with fans, and creating commentary and videos that build relationships with the right people. Live Events: If you go to industry-based events, you can easily create content before, during, and after each event using event hashtags. Although marketers don’t use this tactic enough, it’s a great way to start useful conversations. 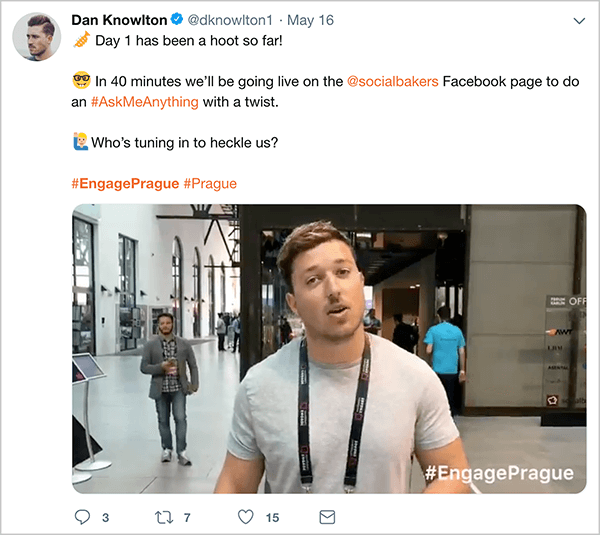 In 2018, Dan and his team went to Engage Prague, a social media and digital marketing event with more than 1,000 delegates, influencers, and big brands like Forbes. Before the event, they tweeted about the speakers and programming that interested them. At the event, they tweeted summaries of the highlights along with live video, images, and speaker soundbites. All of these efforts paid off. After the event, Matt Navarra tweeted an analysis of the Twitter users who had the highest impact, and Dan was fourth on the list. All of his event-related content had a huge amount of reach and engagement. He believes marketers who don’t take advantage of starting conversations from live events are missing an enormous opportunity. You can also use Twitter to nurture relationships that begin in person at live events (or elsewhere). Whenever anyone from Dan’s team meets a colleague or prospect in person, they connect with that person on Twitter and engage with their content over the following weeks. To build a relationship, this engagement must be genuine. You can’t like three tweets per week, retweet stuff, and add a brief comment now and then. Instead, you need to read, watch, or listen to a person’s content; understand who they are; and interact with them in a way that reflects this understanding. Genuine engagement takes time, but if you focus on the right people, it’s worthwhile. 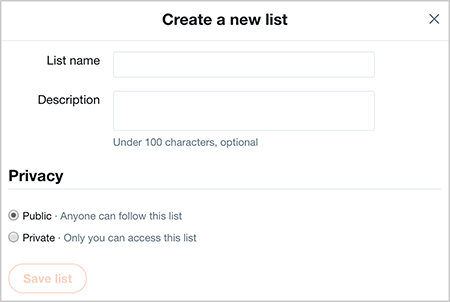 Dan and his team create Twitter lists of people they’ve met, and their lists reflect a person’s role in the industry. They have a list of potential customers, influencers, and event organizers. Dan then knows which event organizers he’s met and with whom he could potentially build a relationship in order to speak at their event. Genuine engagement has value far beyond live events. A person who wanted to work for Dan’s agency recently grabbed his attention via email. She wrote a long email referencing a heartfelt story Dan shared while speaking at an event 2 years ago and shared how she found his company’s journey inspiring. Similarly, marketers can research prospects and colleagues, and tailor messages to them. Breaking News: Because people go to Twitter to hear about breaking news, marketers can use Twitter to discuss breaking news in the industry. When Instagram introduces new features such as lenses or live video, Dan shares the news along with his opinion and asks for his followers’ opinions and feedback. Matt Navarra is a great example of how to break news, too. When you share breaking news, timing is important. Focus primarily on sharing the news as soon as you learn about it. If you wait, 1,000 other people in your industry will be talking about it already, and you lose the advantage of being first. In addition to a text-based tweet, try different content to see what works. You might add a relevant visual such as a screenshot of a new feature in the Instagram app or a preview on Instagram’s blog. You might try live video, link to an announcement from a social platform’s blog, or retweet a TechCrunch article with your own opinion on how a new feature will impact social media marketing. Customer Service: Twitter is the go-to platform for customers who want to reach out to your company about a problem. To make your company accessible and easy to reach, you can add a message plugin to your website. For instance, Buffer offers SocialChat, a simple chat plugin that enables people to click a button to send your company a private message on Twitter or Facebook. For Twitter-based customer service to work, you need to be responsive, too. People don’t have much patience. At a minimum, you can respond with a holding message, but make sure it’s simple and doesn’t create more work for the customer. Customer Culture: When you truly understand your customers, you know what makes them laugh and the situations they relate to. With this knowledge, you can make creative content that reflects the culture of your customers. Dan likes to think about the situations only his target market will understand and create videos that show these situations. One of Dan’s clients is a gym. Dan and his team go to the gym, so they know the market and the small funny things you see there. A video series they created for the client reflects gym culture. One video focused on someone going into the gym and just creating Instagram stories of themselves instead of training. People who go to gyms love this type of funny, recognizable content. Because people generally don’t go to Twitter to consume content, the content you create needs to be excellent and focused on starting a conversation. Videos should also be short. Dan’s videos are usually about 1 minute and no longer than 2:30 minutes. Because Twitter videos automatically play, you should assume viewers have the sound turned off. To make the video accessible, Dan burns captions into the video with Adobe Premiere Pro, but you can do this with any video editing software. This means the captions always appear, even if a Twitter user turns on the sound. 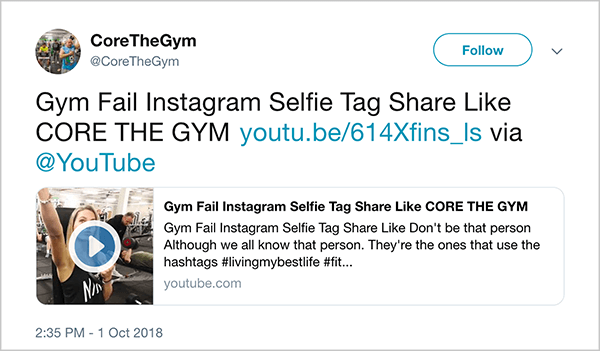 When you upload video content via Twitter Media Studio, you can add a video title, description, and a call-to-action link people can click when the video ends. Listen to the show to hear my thoughts about breaking news and genuine engagement on Twitter. Although Dan quit automating tweets, he still uses a number of tools for his Twitter marketing. Leadfeeder is a tool you connect to your website. It’s great for starting conversations with people who are interested in working with you because it tells you the web pages people view and the companies they work for. Based on the pages that interest a company, Dan follows people who are associated with these companies on social media. Although Leadfeeder doesn’t show you who specifically looked at your web page, it does show the LinkedIn profiles of people who work at the company. Depending on the company size, you can often make an educated guess about who viewed your site. Dan then starts to engage with the company’s or individual’s content online and begins a conversation through Twitter. These people might feel uncomfortable about learning that you know they visited your website or a specific web page. Instead, focus on understanding who they are and building a relationship. Dan also uses social listening software. It helps you know when people are engaging with you and be responsive to that. It also helps you find conversations about your company even if no one has tagged you, so you can jump in on those conversations. To measure your Twitter marketing, Twitter Analytics is great. You can see the reach of your tweets, the percentage of engagement, and so on. However, don’t focus all of your attention on the analytics because they don’t tell the whole story. Before Dan stopped automating tweets, the analytics looked great, showing lots of reach and engagement. After the algorithm was introduced, those metrics took a nosedive. However, by investing time in building relationships, Dan has had high-quality conversations that are more valuable than great-looking analytics. To track how the leads from Leadfeeder and Twitter conversations convert into customers, Dan recommends having good sales funnel software. He uses HubSpot to create a clear roadmap of how people find his agency, the interactions he’s had with them, and how many become customers. Listen to the show to hear how Dan adjusted his approach with Leadfeeder. Kapwing Instagram story templates is a web-based tool for creating awesome Instagram stories. 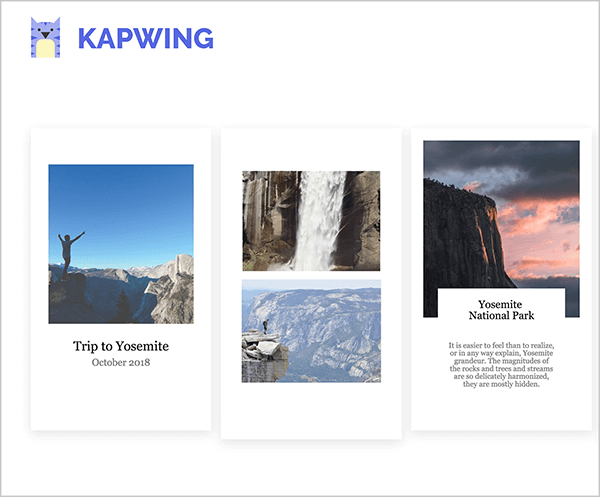 Kapwing offers Instagram story templates among its many tools. The templates look professional and keep the style consistent among all of your stories. After you select a template, you can drop in a video, image, or text. Each story segment has two content boxes, so you can show two videos at once, a video with a caption, or whatever combination you like. Kapwing also includes video tools. You can add text to videos, create video collages, loop or trim videos, and create stop-motion effects. Because Kapwing is a browser-based tool, you create these stories on your desktop computer. After you export the stories, you can move the files to your smartphone and upload each file in the order you want it to appear in your Instagram story. You can try Kapwing for free, and you don’t even need to create an account to try it. However, with the free version, a little Kapwing.com watermark appears in the lower-right corner. To remove the watermark, you can pay $6 for a single video or pay $20 per month for a premium subscription, which removes the watermark on all of your stories, as well as videos made with Kapwing’s other tools (all listed in the website’s footer). Listen to the show to learn more and let us know how Kapwing Instagram story templates work for you. Sign up for the weekly update from Dan’s agency, KPS Digital Marketing. See how Buffer and Mailchimp use Twitter for customer service. Meet and engage Twitter users with Twitter chats. Learn how Twitter changed its automation rules in February 2018 and review the current rules. 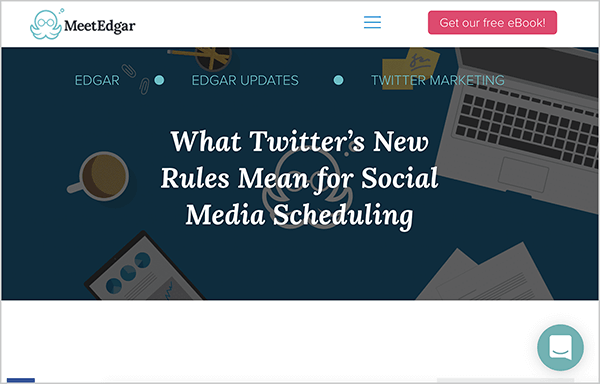 Discover how tools like MeetEdgar and Buffer responded to Twitter’s new automation rules. See Dan’s and his team’s tweets about Engage Prague and Matt Navarra’s analysis of Twitter users’ impact at the event. Check out how Matt Navarra tweets breaking news. Let website visitors message you via Twitter or Facebook with the Buffer SocialChat plugin. Learn about editing videos with Adobe Premiere Pro. Discover how Twitter Media Studio helps you handle video uploads. 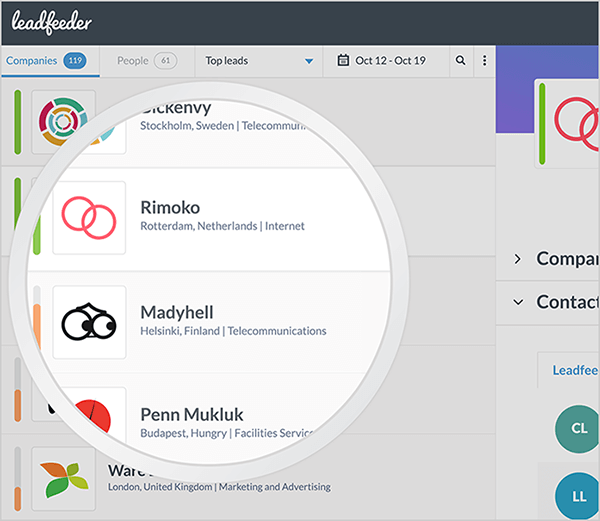 Find out which companies visit your website with Leadfeeder. Learn more about social listening software. 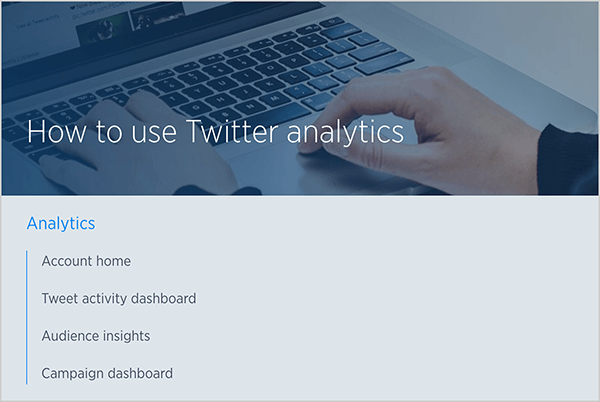 Measure your reach and engagement with Twitter Analytics. Track how people move through your sales funnel with HubSpot. Create professional Instagram stories with Kapwing Instagram story templates. What do you think? What are your thoughts on Twitter marketing? Please share your comments below.